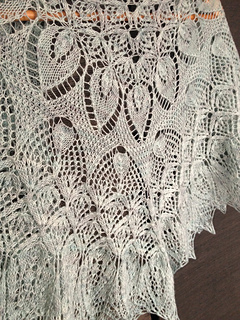 Snowdrop is a modular, highly textural, lace shawl. 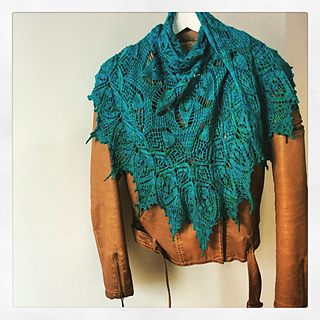 It is started off a lace or garter stitch tab (depending on your preference)and knit in stockinette lace from the neck outward, with some limited work on the wrong-side of the shawl. 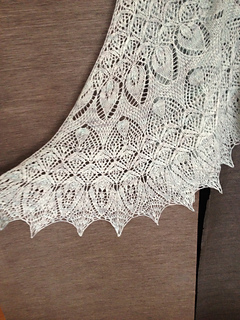 Snowdrop’s modular nature means that you can adapt the shawl’s size to suit your tastes. The majority of this shawl is knit from charts.